We are very proud to introduce the magnificent Glass Bowl With Teak Root Base Ornament Small. This modern glass bowl has a stunning design that'll be sure to impress, as well as acting as an interesting accessory for any home. 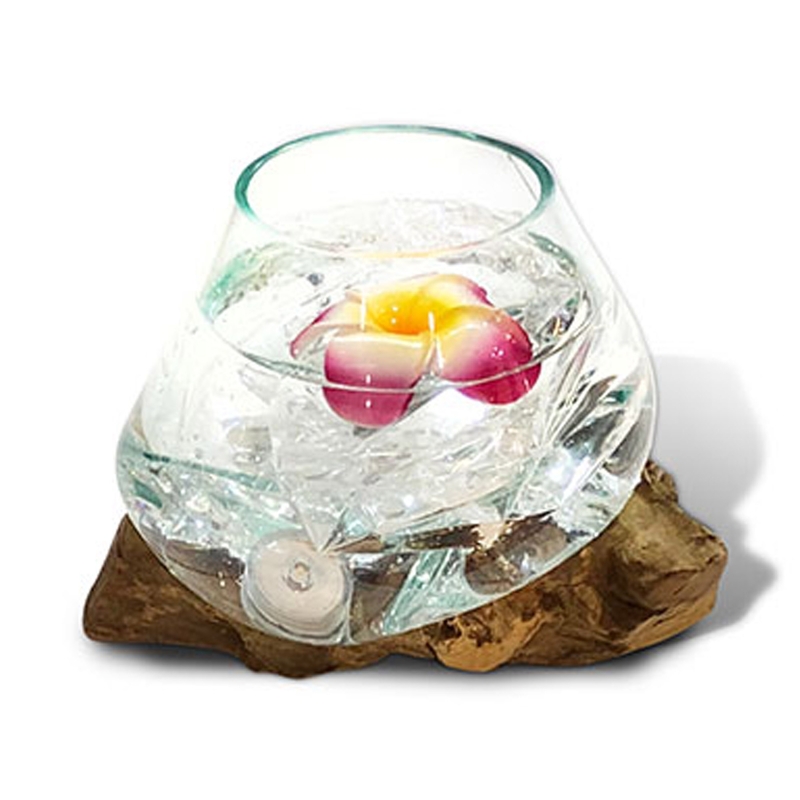 The contrast of the glass bowl and rustic base enhances the abstract design.